We’ve been working on creating a small kitchen garden in a nook in our yard this spring. With the beds made and all our plants planted. It was time to label them! My daughter has been collecting rocks from the yard for a while now. 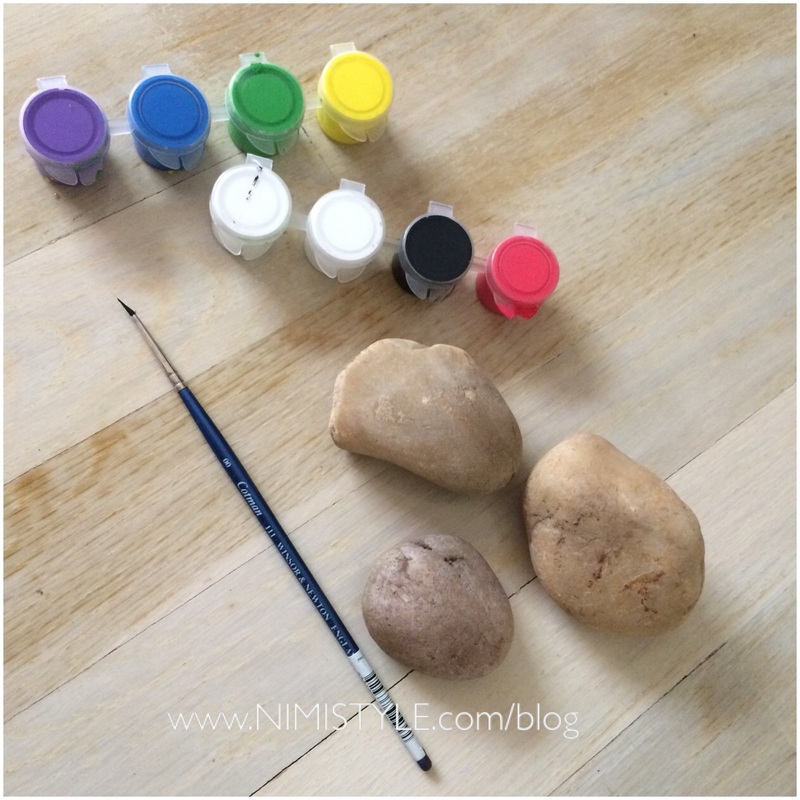 She received a rock painting kit about a year ago and has been gathering them since. Now we were finally able to put her collection to use. 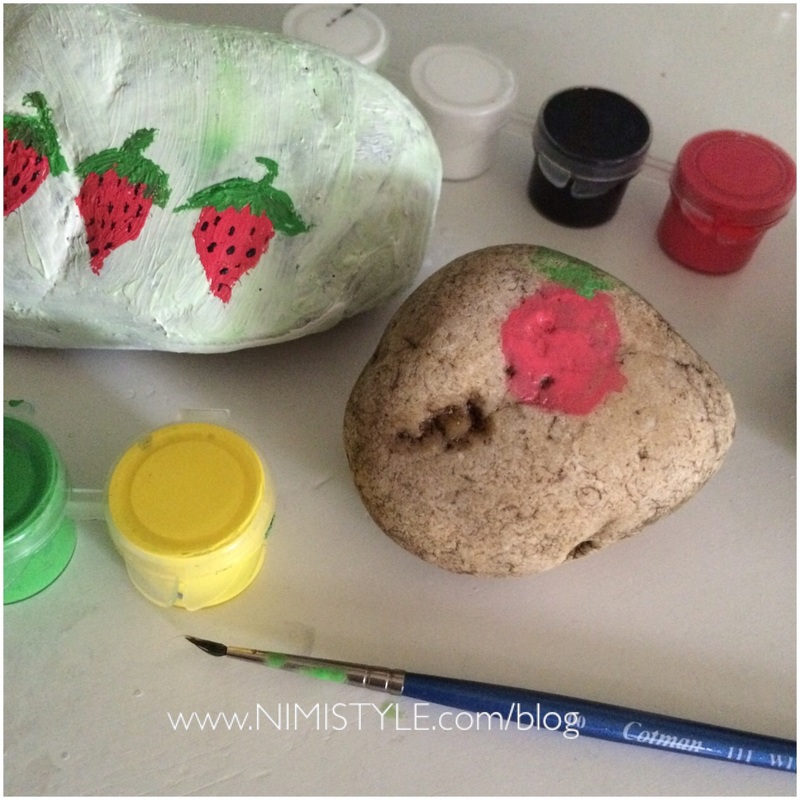 (2) Paint your garden plants, fruits, or vegetables onto the rocks. 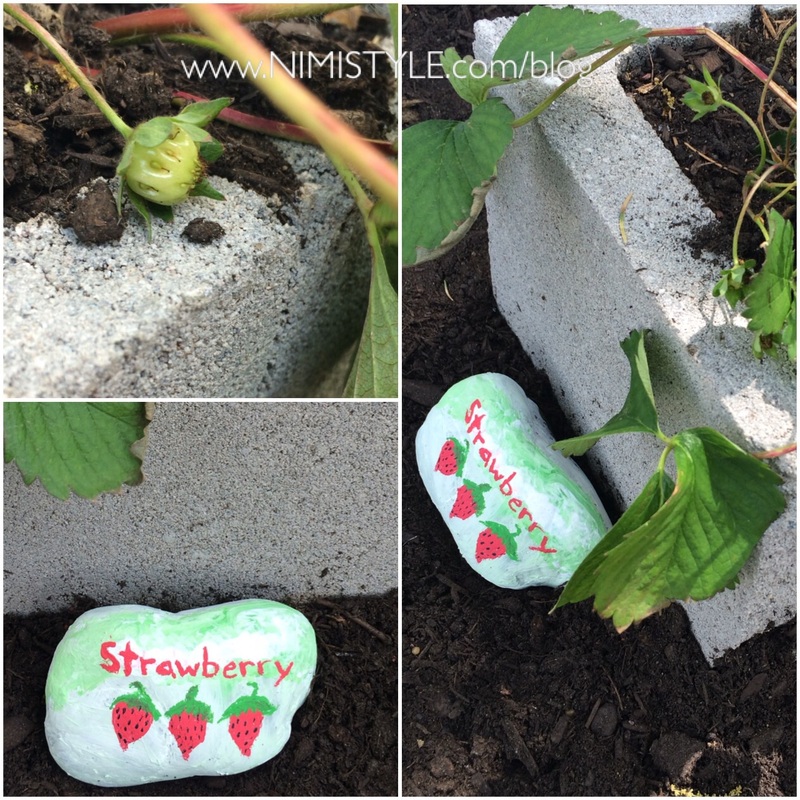 (3) Write the name of your plant, fruit, or vegetable onto the rocks. 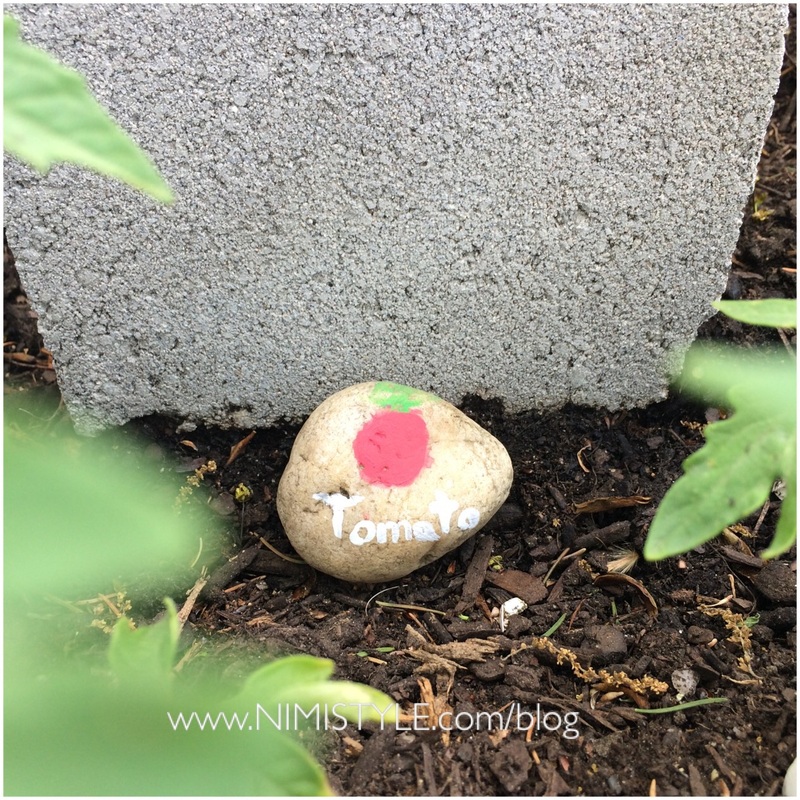 (4) Place your rock garden marker into nature.